In ancient times, it was said that dream catchers were created to assist you to let go of bad thoughts and dreams, leaving only the good postive thoughts and dreams in your life. 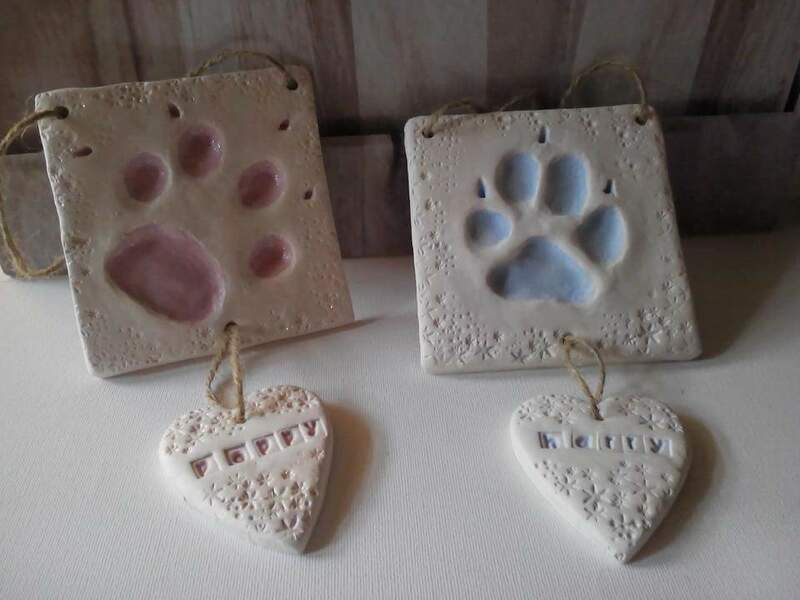 Our dream catchers have been made with this in mind, created with lots of love and attention to detail. 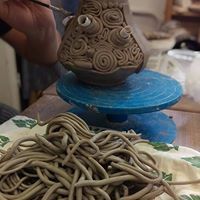 The center pieces are made from handmade ceramics and the outer part embellished with fabric, textiles and embellishments with shabbby chic feel. 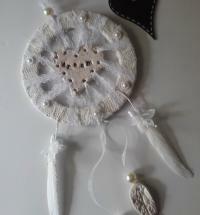 This dream catcher is in shades or ivory white, ideal for weddings, births or christenings. In the center is a ceramic dream heart, with co-ordinating pieces hanging from it with feathers. 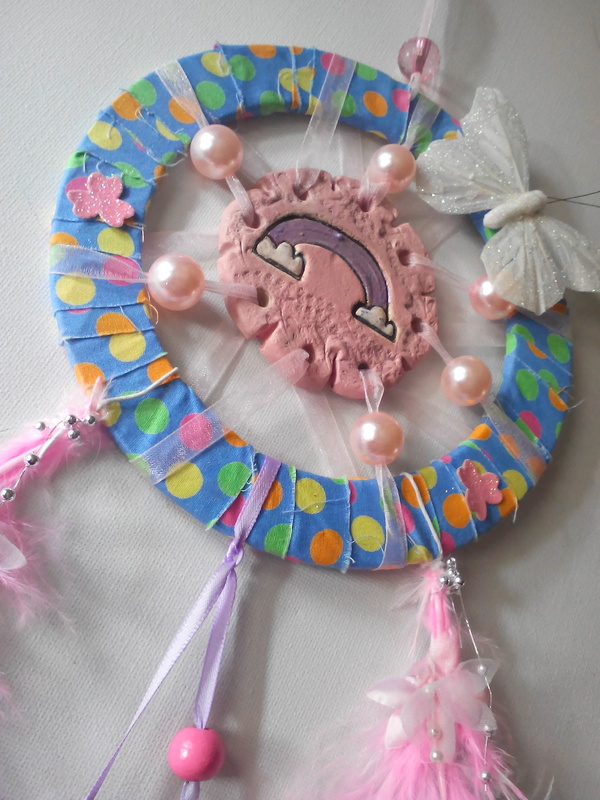 We also make personalised dream catchers from £25.00 upwards, if you wanted names or words added. or for special ocasions such as, christenings or births. Just contact us for details. 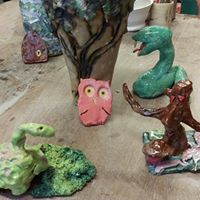 Each one of these are unique as they are individually crafted and will differ in size and colour slightly due to parts being kiln fired and handpainted. If you are choosing local delivery, please leave us your contact details in the custom details box below and select the local delivery option from the drop down menu when you get to the checkout page. If you are ordering mutliple items for local delivery you only need to supply your details once.